The Italian men are shouting at me. I don’t understand what they’re yelling, but it’s clear from the rifles pointed at my torso that this is not a friendly chat. They’re upset. I’ve upset them. 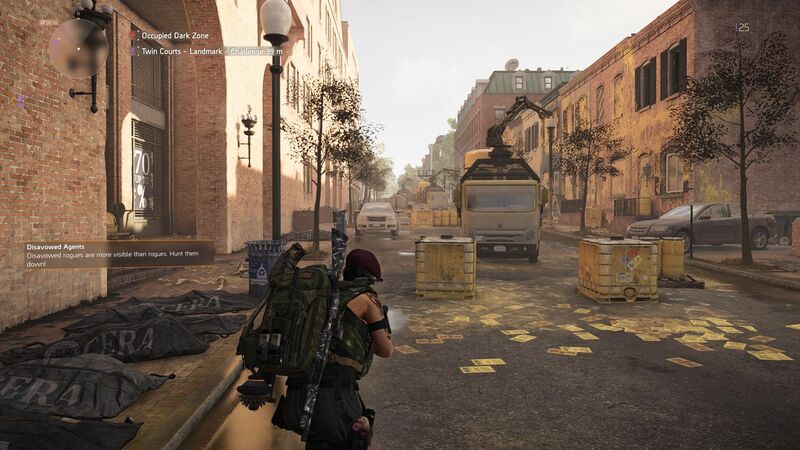 The Division 2 is a solid shoot ‘n’ loot, as I said in our review. Yes it has a few niggles (the crap story, the bugs) but the Dark Zone is one of its returning treats. This is the part of Washington DC where other players skulk in the alleyways. Sometimes they hide in the apartments, like scavenging rodents. Sometimes they sprint away the moment they see you, like a startled deer. And sometimes they point their assault rifles at your heart and shout at you in a romance language. 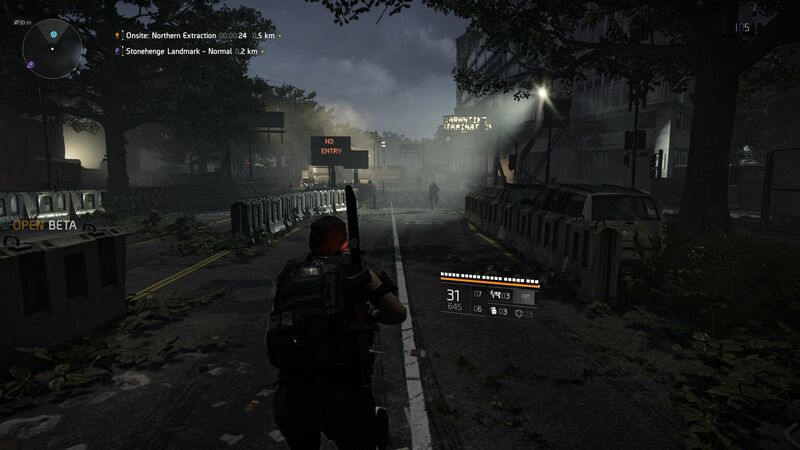 The Dark Zone has changed a bit since I last espoused my love for it in The Division of yesteryear. There are now three of these dangerous zones, where players can shoot each other as well as the NPC baddies guarding high-tier loot. Some of the particulars of exchanging bullets with nasty human foes have changed (our guide to the Dark Zone can explain all that). But it is still that grim place of silence and tension, of wary run-ins, of wondering whether the man in the cowboy hat called “DeathPal99” is going to ignore you, or start a fight. If you do shoot at another player you will become “rogue” and that means you’re fair game for all other players. If the law-abiding players of the Dark Zone kill you in revenge, they’ll be rewarded with loot. As a rogue, you don’t want that. You want to outlast a countdown timer and keep the loot for yourself. If confrontation is too much, you can be a sneakier, quieter rogue, just by hacking terminals and picking locks to forbidden chests. After enough hacking or other despicable behaviour, your map pings the location of a “Thieves Den”. A hideout where you get to wash off your rogue status and go back to being a normal scavenger like anyone else. It’s essentially a money-laundering bolthole. This whole time though, any lawful player might be hunting you down. Even if you are likewise hunting others. Being a rogue is basically a cat and mouse game, except you don’t know which animal you are until the traps start snapping. Like the last Division, I’ve seen very few players go rogue. In fact, there seems to be fewer players in general (a friend reasons that the Dark Zones are smaller, so the player count might have dropped, but I can’t tell for certain). This isn’t bothering me so much. Because the rogues themselves are less important than the fact that they exist. It’s that tension, I mean, the possibility of a “good” player suddenly switching sides, that drives the paranoia and suspense of this eerie multiplayer deathtown. When I first met the Italians, they were shooting goons. A pair of goodies, emptying magazines into the baddies. I joined in the fray, and by the time the Italians noticed me flinging grenades and helping out, they must have decided I was okay. When the bullet casings stopped clinking, the Italians spoke to each other, but they didn’t shoot me. After that, I followed them through the town, because I’m a creep and I like to see what players do when given a post-apocalyptic murderscape to go wild within. The Italians were very vanilla. They tackled the enemy strongholds and looted buildings along the way. Good-hearted, law-abiding agents. I followed them to an extraction zone. This is an area where you call in a chopper to airlift your precious “contaminated” loot to safety (just like the previous game). Otherwise, it can’t be taken into the larger game world. You have to wait around for this helicopter to arrive, and when it does, you need to attach your loot to a rope. At that point, it’s possible another player could steal all your good stuff by cutting the rope. It’s a tense moment. Vigilance is advised. The Italians had yet to call the chopper. They began to speak to each other more and more, and I got that paranoid feeling of an English-speaker that they were talking about me. They turned to look at me as they spoke. I did a tapdance emote. They seemed satisfied. One of them fired a flare into the sky, and the helicopter was on its way. Normally, a few NPC baddies show up to fight when a chopper is en route. This time, none appeared. When the helicopter lowered its rope, the Italians attached their gear without hesitation and stood back. I looked at the rope, and the yellow bags of gear attached. I stepped towards the rope. I did this partly out of temptation, partly just to make sure the game functioned the way I remembered. It did. A little “cut rope” action appeared on my HUD. But I barely had time to register that. Because the Italians were shouting. They were shouting and they were pointing their rifles at my chest. I backed away. OK! I said. OK! The loot was still on the rope. They shouted and they warned and they never took their guns off me. But they didn’t shoot. These goodies, they just waited until the chopper reeled in its rope, and their loot was finally safe. Then they lowered their guns and began to speak normally again, before taking off into the city’s underbelly once more. I find encounters like this so admirable when it comes to multiplayer nonsense. There are not many blockbuster games which have taken the tension and distrust of DayZ-style multiplayer, and worked that into their games-as-an-endless-treadmill model. Neither Destiny 2 nor Anthem can boast that a player might be delighted simply by a tense moment in which nothing deadly actually happens. 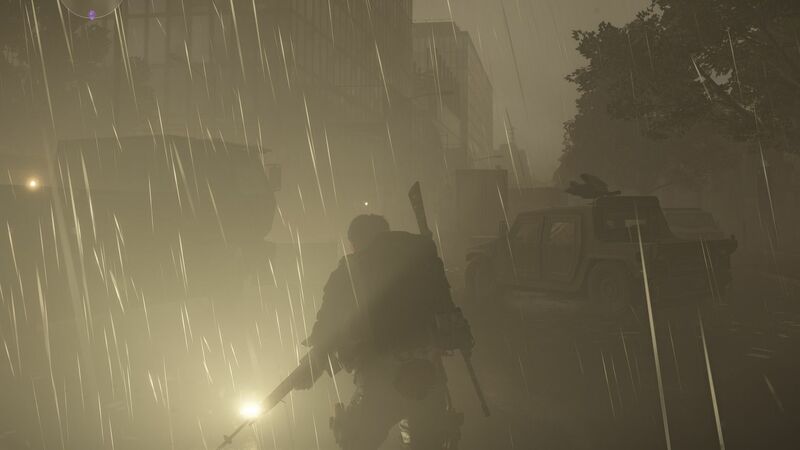 But in the Dark Zone of The Division 2, there can be confrontations which don’t end in violent death, but which are nevertheless exciting moments. 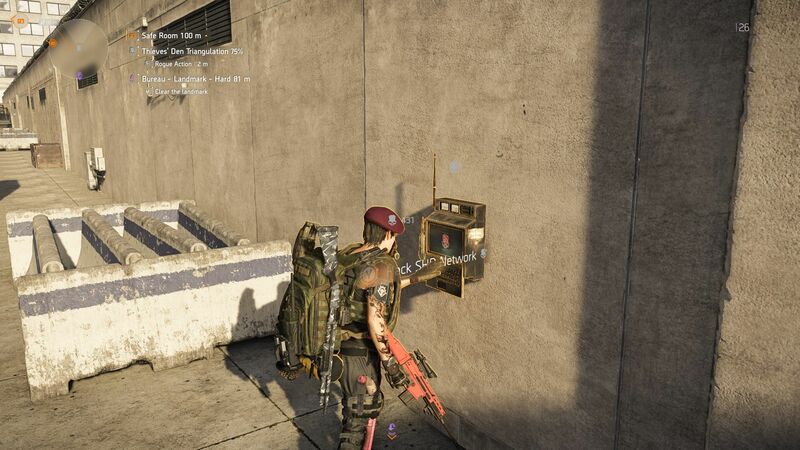 When designing these jittery ghost towns, Massive and Ubisoft could have just made another big free-for-all arena, or gone down a battle royale route. But they’ve done something a little different. To me, that’s worth being shouted at by the odd stranger. 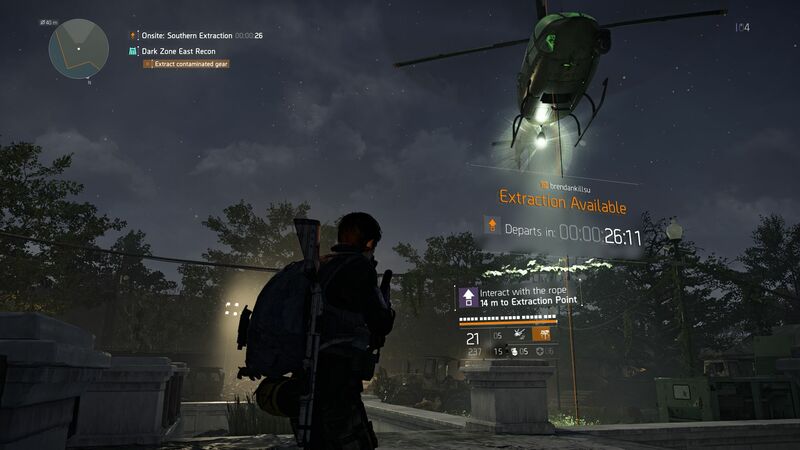 Tagged with feature, Massive Entertainment, Ubisoft, Tom Clancy's The Division 2.